The Pat Wildman Adventures - Part of the Wold Newton Mythos: Warehouse find! 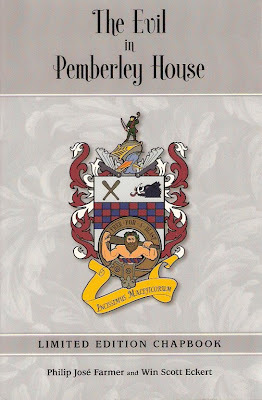 Rare Pemberley House chapbook! Warehouse find! 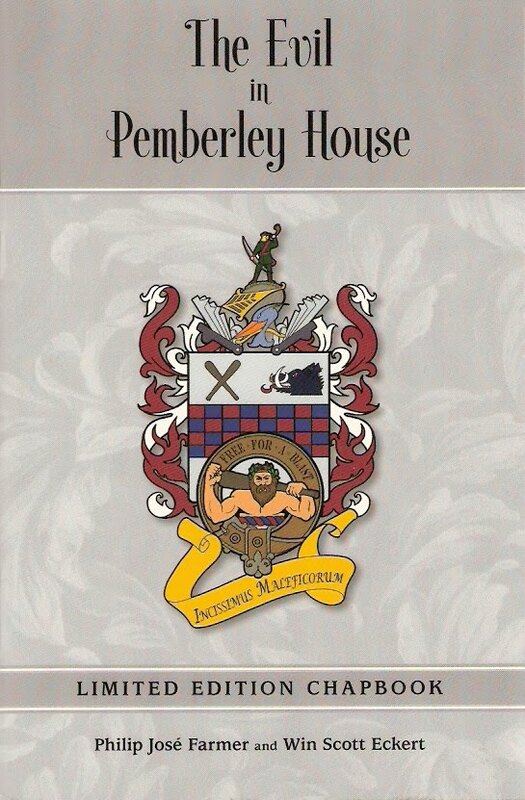 Rare Pemberley House chapbook! Due to a warehouse find at Subterranean Press, I'm pleased to make available several copies of the ultra-rare, out of print chapbook which accompanied the Limited Edition of the novel The Evil in Pemberley House. The cover by Killer Keith Howell features the Doc Wildman Coat of Arms, based on Philip José Farmer's written description in Doc Savage: His Apocalyptic Life, and supplemented with information from Farmer's private notes. Info on how to order is on my Signed Books page (along with many other goodies). If you missed the chapbook the first time around, you probably want to act now, 'cause once they're gone, they're gone.